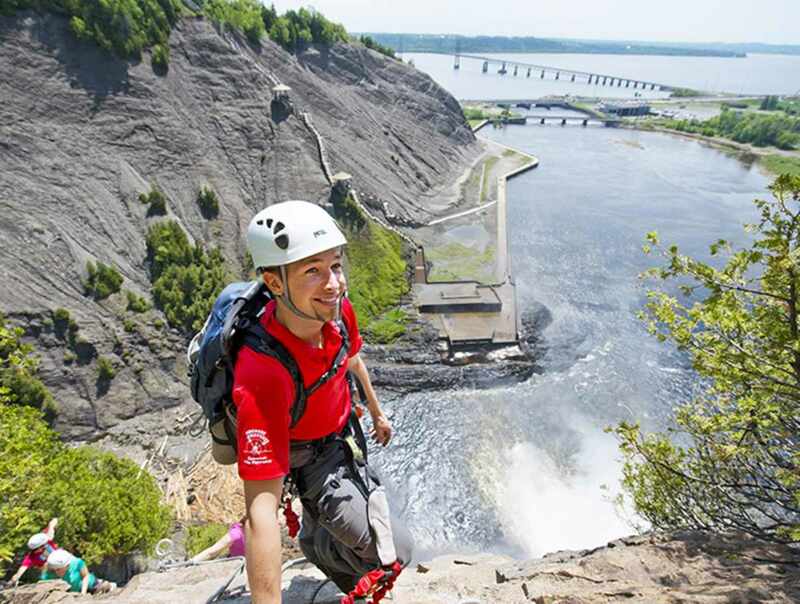 Beautiful Montmorency Falls Park is just a few minutes from downtown Québec City. 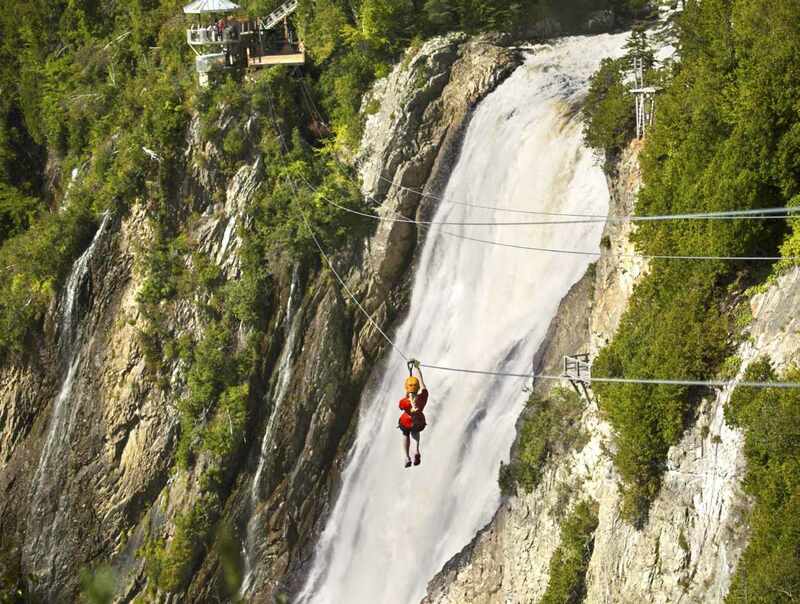 The via ferrata routes are an exciting way to explore the Boischatel Crevasse. 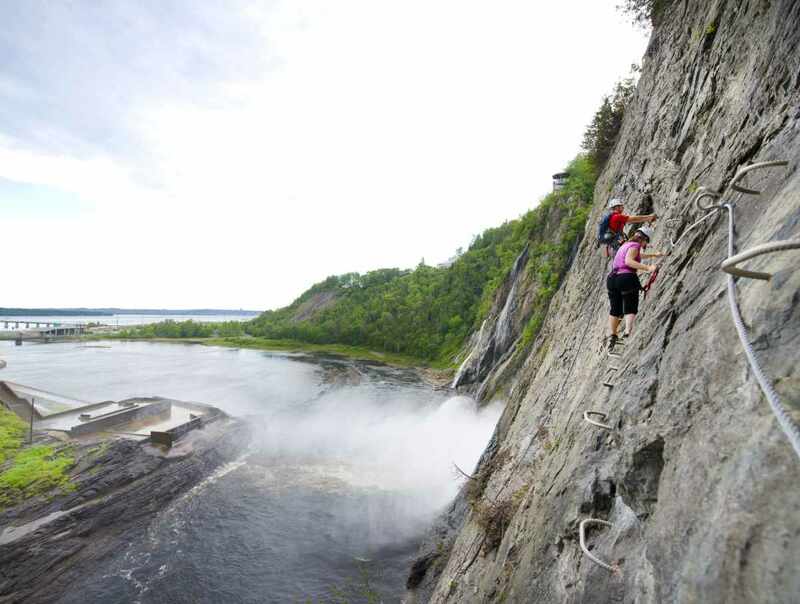 This activity consists of a thrilling climb along the cliff face and is open to participants of all ages. Three routes: an introductory route for beginners and two intermediate routes, one of which includes a 120-m (360') zip line. New: 300-m (984.3’) double zip line. Hours: cable car, parking and gift shops are open daily from December 26, 2017, to January 2, 2018; from January 27 to February 18, 2018; and from April 21 to November 4, 2018. Open Saturday and Sunday from February 19 to April 15, 2018. Via ferrata and double zip line: mid-May to mid-October 2018. Closed from January 3 to 26 and from November 5 to December 25, 2018. Hours: may be modified for groups. Opening hours vary, depending on the season, and are subject to change without notice. Note that the site is open year-round. Closed: December 24 and 25.